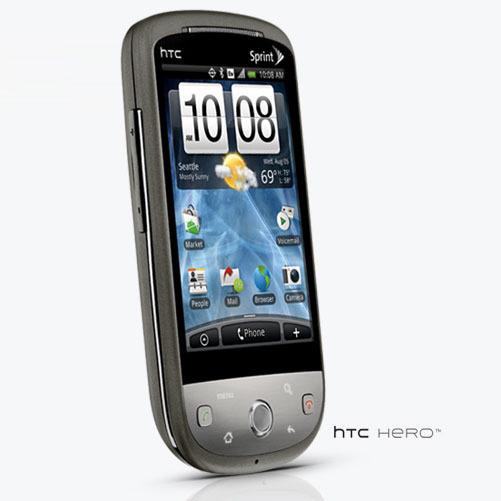 The HTC Hero, the Android phone with the amazing new HTC Sense UI, will be available for new Sprint customers on Oct. 11 but we’ve got one now! 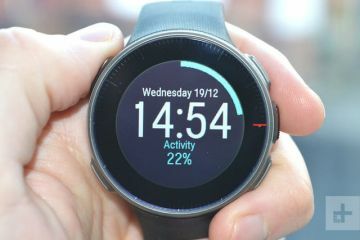 The Hero will cost $179.99 with a 2-year contract and will be available at both Sprint retail channels and at Best Buy. This price is after a $50 instant savings and a $100 mail-in rebate. Although you can expect that many non-Sprint stores (hello Best Buy!) might offer the $100 rebate instantly as well. The HTC Hero is the next generation Android smartphone that is customized with the touch-optimized interface by HTC. The HTC Sense interface is comprised by a seven-panel wide home screen that can be customized with widgets. These widgets aren’t the ones you’ve seen on the T-Mobile G1 or other, older, Android phones. 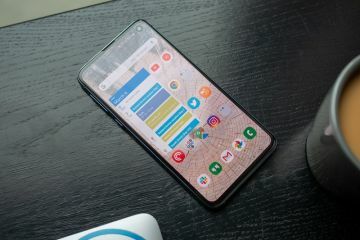 HTC’s Sense UI has put serious thought into this and these new widgets are what make this phone really stand out from the crowd. You can access music, video, people, social networking, web browsing and more. The Hero is a full-featured smartphone with a lot of great features. 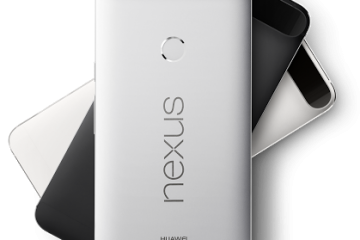 This phone is simply everything that Google, and lovers of the Android platform, hoped it would be. Visually exciting. Fast. Responsive. It’s like a Ferrari compared to the original Android phone, T-Mobile’s G1 which was more like a Volvo v70. The G1 was boxy and dependable but it failed to excite. The HTC Hero is extraordinarily exciting and more. Fans of the iPhone and Palm Pre now have a third device to compare against. The HTC Hero is a real game changer for the Android platform. Of course since Android already has a year behind it, there are tons of apps already in it’s online store. It’s not the zillions that the iPhone has but it’s more than the dozens that the Palm Pre has. The Hero is larger than the Pre but is a bit smaller than the iPhone and it’s lighter as well. This Hero is a serious bit of kit here. You might even find the iPhone a bit stodgy in comparison. It doesn’t have the slowdown of other Android phones in our testing and it’s button layout is exactly right. You’ve got just enough buttons to make one handed use intuitive and enough onscreen controls to please your touchscreen needs. Oddly enough Sprint have more advanced phones than any other single carrier now. 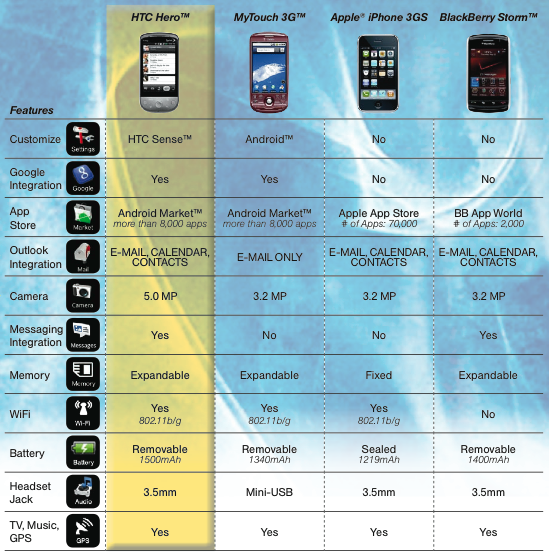 The Palm Pre and HTC Hero, combined with Sprints more competitive phone plans, should give them some serious customer draw.